It wasn't until 9.45pm that the four boys from New York strolled onto the stage at The Astor in Perth for the opening night of their '30th Anniversary Vivid Tour'. 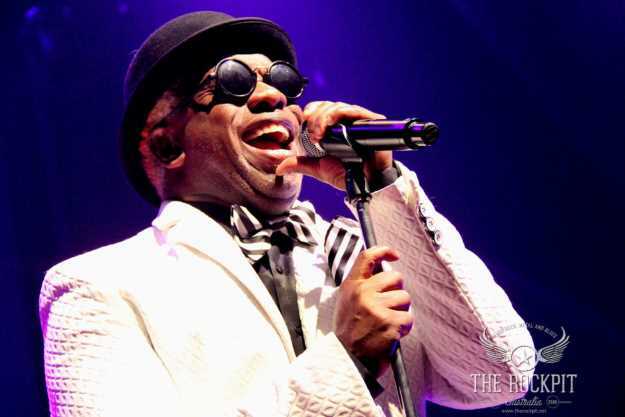 As has been with their music all throughout their career, they guys sported all very different dress senses, as vocalist Corey Glover, dressed in white suit and black bowler hat, eased up to the microphone and coolly announced, "Hey Perth, see I told ya'll we'd be back pretty soon". 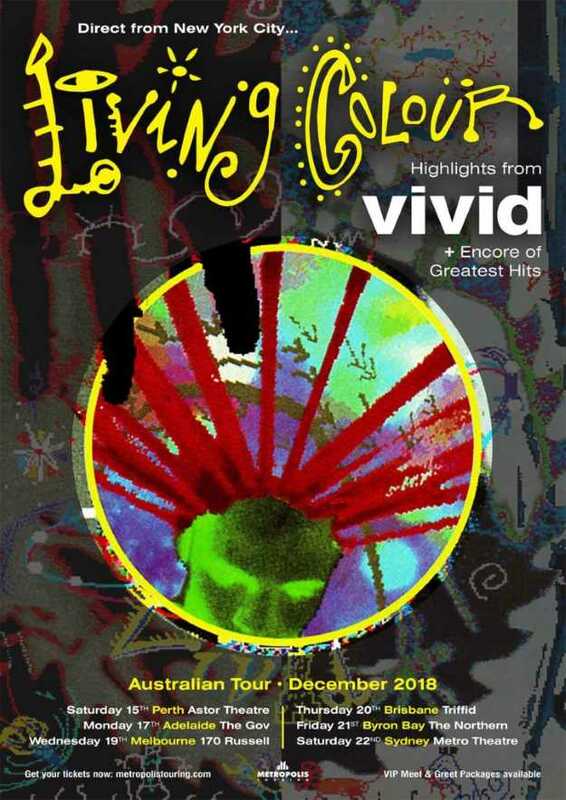 And with those words, Living Colour launched into a set celebrating, the 30th anniversary of their 1988 debut release 'Vivid', playing nine tracks from the album tonight. Opening with 'Middle Man' the band strutted and strolled through the tracks with affectionate ease. 'Desperate People', 'Funny Vibe & 'Open Letter (to a Landlord)' followed before the band took us forward to 1993's 'Stain' with the song 'Ignorance is Bliss'. 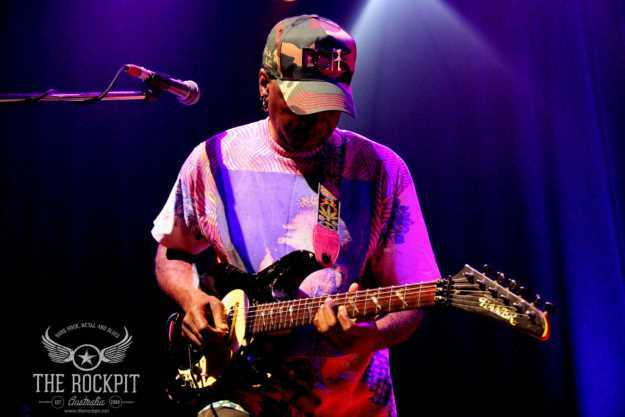 One of the magical things about Living Colour is how they have never been one to be pigeon-holed throughout their career, always happy to experiment with sounds and genres but also keeping near that jazz, funk, soul metal/rock that made them so different. 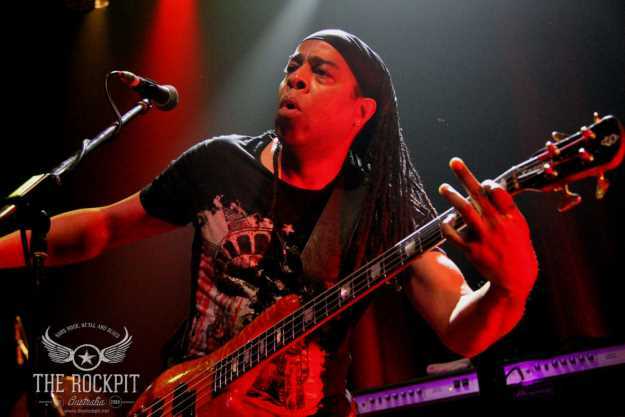 Guitarist Vernon Reid plays with the audience with his cool riffs and solos while bass player Doug Wimbish slaps and plucks at his funk basslines with chest thumping precision. We get a chance to clear our lungs, as we are encouraged to join in loud and proud with 'Come On' for the latest album 'Shade' before being taken back to 'Vivid' with the Talking Heads cover 'Memories Can't Wait' and 'Broken Hearts'. Glover's vocals are outstanding tonight, showing that even as 30 years have passed, he still hits the high notes with ease. 'This is the Life' from 1990's Time's Up leads us to Wimbish dedicating his bass solo to their families, who they leave behind when they tour (and tour frequently). And what a solo he lays own, or rather song - I have seen many a bass solo but never one like this as Doug makes full use of effects pedals & loops to produce a stunning instrumental. Crowd favourites 'Glamour Boys' & 'Love Rears its Ugly Head' are unleashed followed by 'Which Way to America' next before drummer Will Calhoun is released from behind his kit to show us his wares and he too pushes the boundaries with some cool looping and 'digital' drumming on tap pads. 1990's Grammy winning track 'Cult of Personality' fire the crowd into on last frenzy before we are treated to a one song encore (time and licencing constraints sadly) in the form of Soundgarden's 'Blow Up the Outside World', which ends a great night of music which took me back to a good place I was in at the time when I first heard some of these songs. The band look great, sound fantastic and with a song list like this, it takes you immediately back on a trip down musical memory lane. 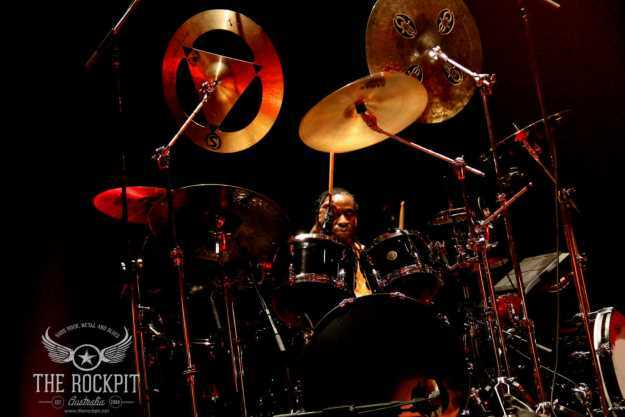 Look out for Living Colour at a venue near you... I still can't believe that it was all 30 years ago it all began! !